Even $1, $5 or $10 will make a difference. Jordan Halland, during his recent trip with members of the Fall 2016 Guatemala Trip. International Eye Institute, Inc. is a private non-profit 501(c)(3) tax-exempt corporation. Our primary purpose is to provide adult and pediatric medical and surgical eye care to people with little access to these services. In 2018 our teams treated 873 patients, performing 150 surgeries. 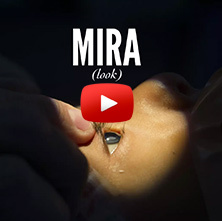 The majority of surgeries were sight-restoring, and often life-changing, cataract surgeries with new lens implants. This added up to over $300,000 worth of donated medical and surgical care to people who otherwise would have no access! Although our eye work began in the early 1990s, we only started keeping track of statistics in 2005. During that time, we have provided care to over 10,000 patients including over 2000 surgical procedures. Our volunteers have donated over 20,000 hours of their time to provide this quality eye care. We have provided over 3 MILLION dollars worth of medical and surgical services (a conservative estimate) to our patients who would not have had care otherwise. We're proud of this legacy and excited to continue to volunteer our services, with your support. We work in collaboration with hospitals and clinics, mostly in Latin America. 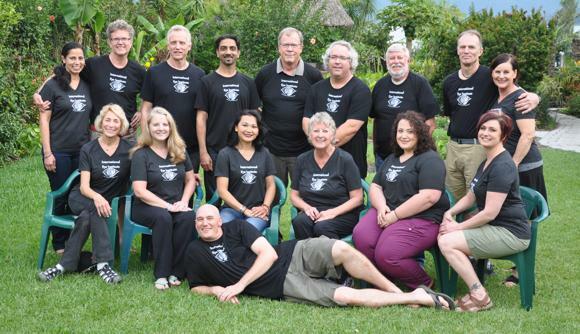 This year has been a very successful one with 3 medical/surgical eye teams going to Central America. 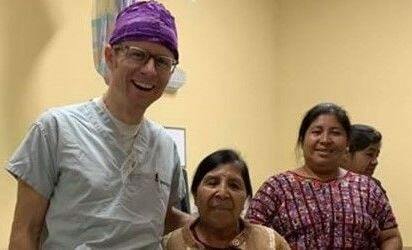 Two of those teams continued to expand our collaboration with Hospitalito in Guatemala and we had a small team continue to provide eye care in Honduras as well. The vast majority of our supplies, equipment, travel and time are donated by our medical volunteers and medical suppliers. So we are able to leverage your donated dollars to provide an incredible return on your investment in us! Our teams really do transform the lives of these patients and impact each of their families in a profoundly beneficial way. We, and THEY, are grateful for your generous support.